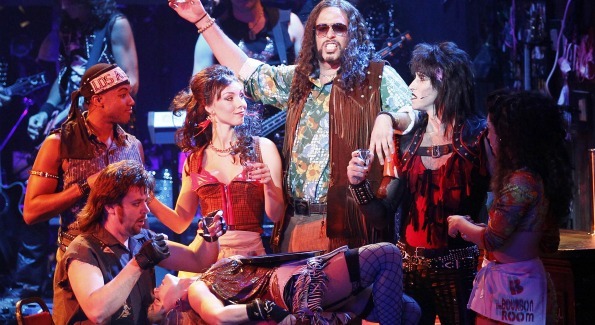 Tony Award Nominated ROCK OF AGES is going on its first national tour making a stop at the National Theatre. Touring cast of ROCK OF AGES. Photo courtesy of Winslow Townson. ROCK OF AGES will be making its first official tour which stops at the National Theatre from July 12th to July 24th. Starring American Idol’s Constantine Maroulis who will reprise his commended performance as Drew, the musical shares a love story during the dynamic era of 80’s rock with hits from Journey, Bon Jovi, REO Speedwagon, Pat Benatar, Whitesnake and more. Tickets go on sale beginning Friday, June 5th and are available through Telecharge. As of Monday, June 20th you can also purchase at the National Theatre Box Office.